The Sallisaw Basketball Booster Club will be kicking off the upcoming basketball season by hosting their annual Diamond Fever Night and alumni game fundraiser. Events will take place at the SHS gymnasium on Saturday, November 11th beginning at 5:00 pm. Diamond Fever is designed to be a night of fun and entertainment for the entire family with dinner being served at 5:00 pm and performances beginnning at 5:30 pm. Admission is $3.00 for adults and $2.00 for students. A Chili dinner including dessert and a drink will be served for $5.00. Children 3 and under will be admitted and eat for free. Entertainment for the evening will be provided by The Tiny Tots of Liberty Elementary, TSMS Cheerleaders, SHS Cheerleaders, 6th-12th grade Sallisaw basketball teams, and both men’s and women’s alumni games. A silent and live auction will also be held with various themed baskets, food items, Black Diamond items and specialty items for the live auction. There will be a raffle with $1.00 tickets available to purchase for the chance to win a Yeti cooler. 2017-18 basketball programs and t-shirts will also be available for purchase. The Booster Club is looking to former Black Diamond and Lady Diamond basketball players to lend a hand as well. All former Sallisaw basketball players are invited to cheer on the current middle school and high school teams as they demonstrate their talents for the upcoming season, then step back on the court themselves. Whether you graduated one year ago or thirty years ago, the Booster Club invites you to play alongside former teammates or to just sit back, reminisce, and cheer on our teams from the past and present. 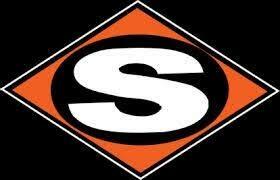 All former SHS players interested in playing in the alumni game should contact (918)775-1007 or private message the booster club on Facebook at Sallisaw Basketball. Please join the Sallisaw Basketball Booster Club on Novemer 11th to kick off the 2017-18 basketball season and to recognize players from the past and present. All proceeds from the night’s activities benefit both the Black Diamond and Lady Diamond basketball teams. 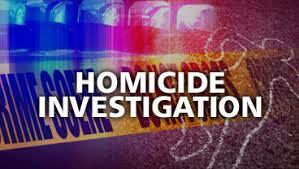 At just after 4:00 p.m. Monday afternoon a Sequoyah County investigator was struck by a vehicle while investigating a fatal shooting that occurred last week near Gore. 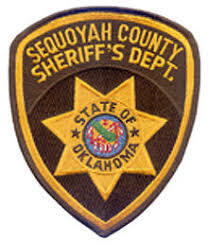 Sequoyah County Sheriff Larry Lane has confirmed that Investigator Greg Smithson was struck by a distracted driver while investigating near the scene of last week's shooting north of Gore, on Hwy. 100. Lane stated that Smithson was standing on the shoulder of Hwy. 100 when he was struck by a vehicle traveling at about 30 mph. The unidentified female driver of the car was reportedly watching deputies when she allowed her car to veer off of the road and strike Smithson. The driver was cited by the OHP for inattentive driving. Smithson was taken to the ER at Sparks Hospital to be treated for minor injuries. After testing doctors determined that he did not have broken bones or internal injuries but was suffering from bruising. 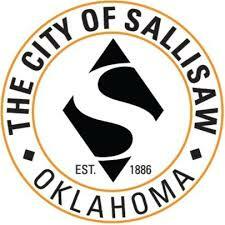 The City of Sallisaw has announced a new provider has been chosen for utility billing. Beginning Nov. 21, the city will have a new online payment provider for the utility billing statements. City officials said this switch will bring many new and enhanced features like full bill presentation, paperless billing, billing history, auto pay, email notifications and more features. The system will be user friendly and the public will love the new features. As the Nov. 21 launch date approaches, more information will be published on the city’s social media sites as well as updating the information on the city web page dealing with online utility payments. Customers should note they will be required to set up new profiles, accounting formation, and auto pay information with the new provider for payments made on Nov. 21 or after. A step-by-step guide will be available for completing the set-up. Dart Drummonds, Indian Capital Technology Center campus director, says a lot of good things are happening at ICTC in Sallisaw. “We have a lot to offer the community,” Drummonds said Friday. He said ICTC will be offering a cosmetology program by next October, and is building a 60-foot by 100-foot events center. But residents should not forget the programs already in place from building trades to automotive, from landscaping to housekeeping, and many others. “Our classes are open to both male and female,” Drummonds pointed out. “We have women in the automotive class and in welding. Drummonds, 57, became campus director in July after then director Dr. Curtis Shumaker resigned to take another post. Drummonds and his wife, Connie, are residents of Keota. The Drummonds raised two daughters, Dana, a teacher at Porum, and Dawn, an accountant in Nashville, Tenn. They have one grandson, Hayden, 11, in Nashville. Drummonds started his education career as a science teacher and girls’ basketball and softball coach. He soon moved into administration, where he spent 26 year of his 32 years in education. He retired when he was superintendent at McCurtain Schools. But retirement wasn’t for him, and he soon joined the ICTC team as the campus director at Stilwell. A year later he joined the staff at Sallisaw. His wife Connie is also retired, but now teaches English at Bokoshe. Drummonds said ICTC will soon be surveying the community to determine what new programs to next consider adding to the ICTC curriculum. The members of the Central and Sallisaw Youth Coalitions will Walk Like MADD on Thursday. Amy Edwards, Drug Prevention Specialist, explained the students are raising money for Mothers Against Drunk Driving, or MADD, and have collected over $1,000 by getting sponsorships. 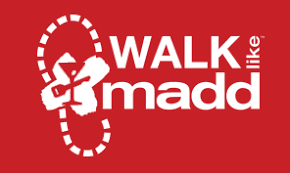 Walk Like Madd is taking place in over 60 communities around the nation in hopes of eliminating drunk driving on the roads. Edwards and Taylor Chadwell, also a prevention specialist, will be walking with the students. The walk begins at 4 p.m. in front of the Sallisaw Police Department, and will make a short circle around the block to show support for MADD. Edwards said the event will take about 30 minutes. A 27-year-old man from Oklahoma City was killed in a crash Saturday on Interstate 40 near Webbers Falls. The Oklahoma Highway Patrol (OHP) reported Andy Thach was pronounced deceased at the scene by Muskogee EMS. The OHP reported Thach was riding a 2015 Honda VT750 motorcycle and was merging onto the east-bound lanes on I40 from the Muskogee Turnpike at a high rate of speed. 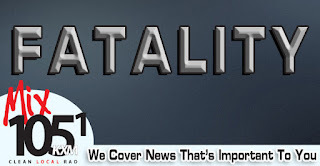 He lost control of the motorcycle and it fell in front of a 2006 Freightliner driven by Naranjo Amelo, 46, of Smyrna, Tenn. Amelo was not injured in the crash. The annual food drive for Thanksgiving is underway, and donations of both food and funds are still being taken. 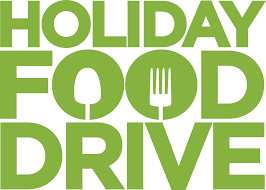 Rita Holmes, who organizes the food drive in conjunction with Liberty Elementary School and Sallisaw 4-H, said donations may be dropped off at Armstrong Bank in Sallisaw. Both non-perishable food items and money may be left at the bank. Checks should be made out to Sallisaw 4-H. Suggested food items are Ramen noodles, sugar, pasta, stuffing mixes, cake mixes and frosting, canned milk, canned meats, canned fruits, canned soups, peanut butter, corn bread mixes, oatmeal, spaghetti sauce, rice, gravy in cans, jars or mixes, boxed macaroni and cheese, canned vegetables, instant potatoes, pinto bean, etc. 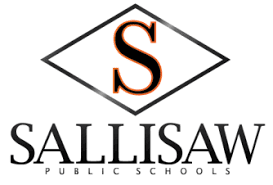 The donations will be used to make Thanksgiving food baskets for families in Sallisaw Schools. 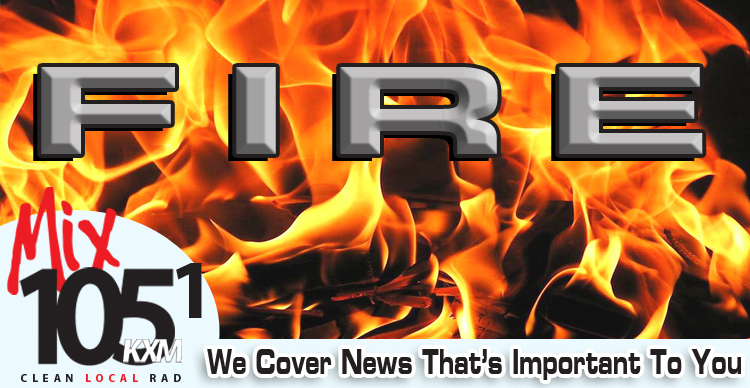 The Brent and Sallisaw Fire Departments responded to a kitchen fire on a county road just outside Applegate Cove on Saturday. Sallisaw Fire Chief Anthony Armstrong said no one was injured in the fire and the damage was contained in the kitchen of the mobile home. The call came in at about 3:50 p.m. Saturday, Armstrong said. 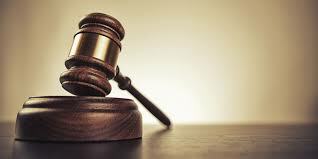 The setting of a trial date for three persons charged with covering up the circumstances of an ATV crash that left one man injured was reset for Dec. 18 in Sequoyah County District Court in Sallisaw. The charges resulted from a Sept. 1, 2013, ATV crash south of Muldrow that left a young man, Christian Mayberry, 16 at the time, with severe brain trauma. Gray, her son, Joey, now 21, and a friend of his, Kyle L. Brannon, now 22, are accused of allegedly covering up the ATV crash. They have all entered not guilty pleas to the charges. The trial date was scheduled to be set on Thursday in district court, but District Attorney Jack Thorp asked for a continuation. The original prosecutor of the case, Mike Ashworth, is no longer with the District 27 District Attorney’s office. Thorp said Ashworth has expressed an interest in being assigned to that one case. Gray’s first trial on a separate set of charges related to the same ATV crash ended with a deadlocked jury in 2015. Ashworth had a new set of charges filed against the Grays and Brannon on Aug. 31, 2015. The shooting death of a rural Gore resident is being investigated as a homicide, said District Attorney Jack Thorp on Friday. Joshua Lee Tucker, 33, died at St. John’s Hospital in Tulsa while in surgery. He was found at about 7 a.m. Thursday in a neighbor’s driveway on State Highway 100 north of Gore. He was then flown to the Tulsa hospital. Sheriff’s investigators searched the Tucker home and surrounding area and Sheriff Larry Lane said Thursday that no gun was found. Thorp said it was not yet known what kind of gun shot Tucker. He said investigators will have to wait on the medical examiner’s report. Lane said little is known about the shooting so far because the investigation has just begun. Investigators were also questioning neighbors, he said. The Bulldog Builders, boys on the left, and J.C.S., girls on the right, are all seventh graders from Muldrow Middle School. From the left, Hayden Boyett, Drew Luttrell and Bryson Limore built a home which included furniture and residents. The J.C.S. team of Sara Jackson and Jaci Walker decorated their house for Christmas, including outdoor lights. Bromie Omie is the name of the team of Michala Richards, left, and Rebecca Jones, both in the seventh grade at Roland. 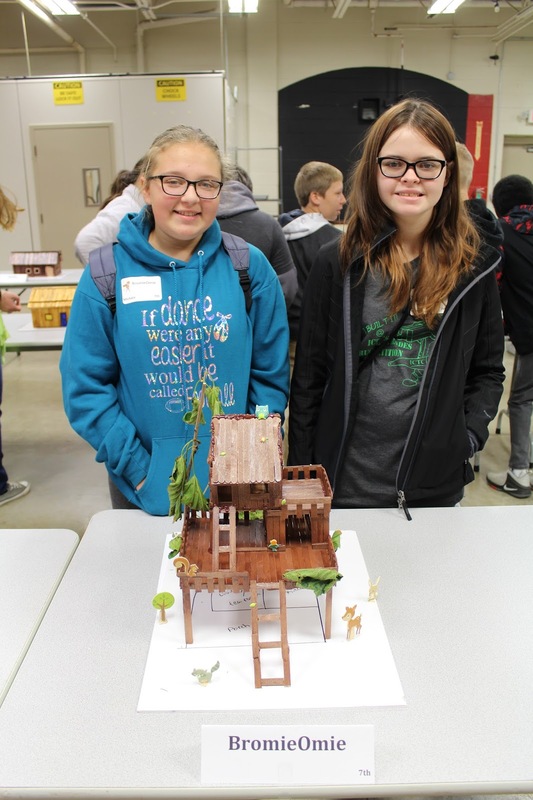 They designed and built a tree house, including wild animals and greenery. 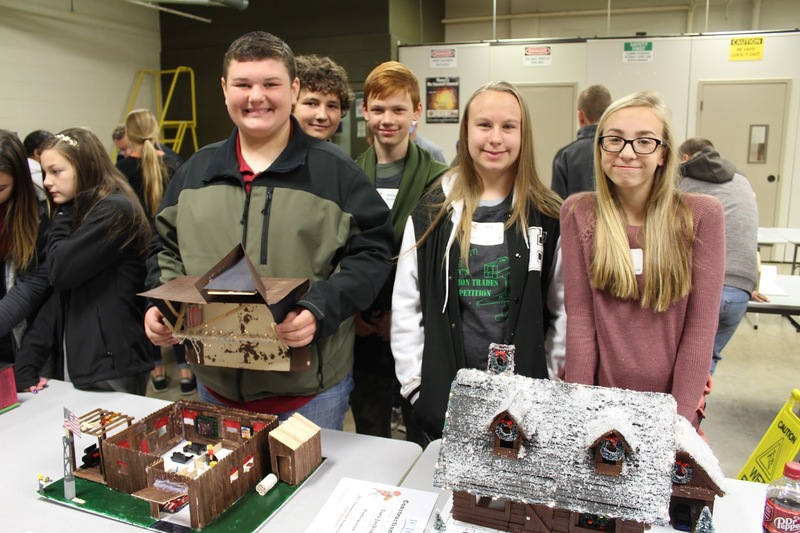 Students from throughout Sequoyah County were at the Indian Capital Technology Center (ICTC) Friday participating in the You Build It competition. Dart Drummonds, ICTC campus director, explained students in grades six through ninth were invited to make up teams of two to four persons. The teams took 1,000 Popsicle sticks each and designed and built a house. They could not use more than the 1,000 sticks. The competition was limited to 75 teams and 71 teams arrived, Drummonds said. Judging took place all day Friday. House designs were endless and ranged from a tree house to a house decorated for Christmas. The students included floor plans, and some even furnished and populated their miniature homes. Judges determined the three top entrants in each of the four age categories and chose a grand champion team. While judging took place the students were invited to play games, tour the ICTC campus, have a hot dog lunch, watch a movie or have their photo taken. Dummonds said this is the second year for the competition at ICTC, and the competition is held in conjunction with Construction Trades Month in October as a way to introduce students to the construction trades. 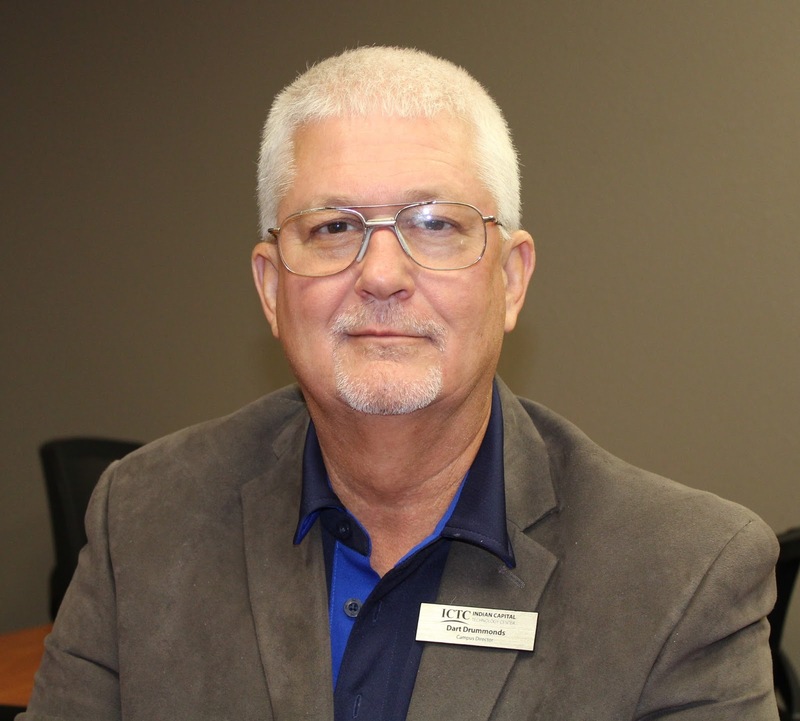 Scott Farmer, Sallisaw Schools superintendent, announced at the Sallisaw Chamber of Commerce luncheon Wednesday that Sallisaw Schools has been chosen as a pilot school for the Individual Career and Academic Plan (ICAP) approved by the state legislature. ICAP is a multi-year process that guides students and families in the exploration of career, academic and postsecondary opportunities. With the support of adults, students develop the awareness, knowledge, attitudes, and skills to create their own pathways to be career and college ready. Farmer explained members of the business community will be asked to participate in an intern program in which a student may participate for a year in a career field of choice such as medicine, law, media, etc. The school and business will partner on the student’s education and the student will receive a grade at the end of the internship. Farmer said surveys will soon be sent out to members of the business community asking for their ideas and opinions on how the program may help and support the students and ICAP. “We want as much community feedback as we can get,” Farmer. Joy Hofmeister, State Superintendent of Public Instruction, explained ICAP on the State Department of Public Instruction website. Beginning in sixth grade, ICAPs will follow each student through middle and high school and evolve to reflect any changes in interests, strengths and growth. They will include interest inventories, written goals, a step-by-step plan to reach those goals, career surveys, academic progress measures and a list of completed apprenticeships, internships or mentorships. Students will be able to create individualized portfolios, utilize high-school planning tools, explore career options and access college campus information with the assistance of parents, school counselors and teachers. Hofmeister said many graduates today lack the skills employers are looking for or the necessary coursework to succeed in college or career without remediation. Thirty-nine percent of all first-year college students in Oklahoma currently require remedial courses before earning college credit, a process that, according to the Center for American Progress, costs Oklahoma families $22.2 million annually. By defining career goals or postsecondary plans earlier in their education, students will have the opportunity to make important decisions regarding coursework and extracurricular activities that align with their postsecondary career and life goals. The Oklahoma State Department of Education (OSDE) will pilot ICAPs in selected districts during the 2017-18 school year, and increase the number of district pilots in 2018-19. In the 2019-2020 school year, they will become a graduation requirement for those entering ninth grade, as required by House Bill 3218, which the governor signed into law in 2016. A high speed chase that traveled across the county shortly after 11 p.m. and lasted approximately 45 minutes Thursday night ended after multiple agencies joined the pursuit. The chase went west bound primarily along Highway 64 and ended in Gore just past Carlile Street, west of the intersection of Highways 100 and 64. It's unclear at this time how or where the chase began but reportedly included numerous law enforcement officials and agencies including the Muldrow police, county deputies, OHP, and a game warden officer. Muskogee and Pafford EMS were also dispatched. Speeds topped over 100 miles per hour and spike strips were eventually deployed to stop the alluding vehicle. A witness stated that the vehicle continued to travel for some distance on its rim causing sparks to fly and an area fire department to be dispatched as a precaution. The vehicle, a white 2013 GMC chevy truck, allegedly ran at least one other vehicle off the road as it fled. 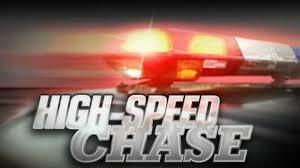 No information is available at this time regarding who was driving the pursued vehicle or why the chase began. 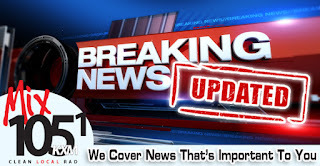 The extent of injuries is also unknown and names of those involved have not been released. We will bring you more details as they become available. A rural Gore man, found shot in the stomach early Thursday, died during surgery in a Tulsa hospital, and authorities were questioning his wife Thursday afternoon. Sheriff Larry Lane said Joshua Lee Tucker, 33, died at St. John’s Hospital in Tulsa while in surgery. He was found at about 7 a.m. Thursday in a neighbor’s driveway on State Highway 100 north of Gore. He was then flown to the Tulsa hospital. Lane said Tucker was shot once in the stomach. 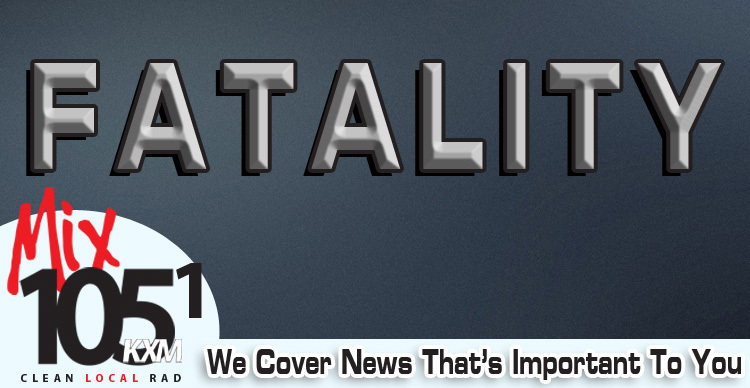 His body was sent to the state medical examiner’s office. Investigators don’t suspect his wife. “She was at work at the casino in Sallisaw at the time,” Lane explained. Lane said little is known about the shooting so far because the investigation has just begun. Investigators have searched the Tucker home and were questioning neighbors, he said. Gans School, east of Sallisaw, was on a “lockdown drill” for 15 to 20 minutes before noon on Thursday. School officials said Undersheriff Greg Cox came by the school earlier Thursday and said a wanted felon was in a home just west of the school and the railroad bridge in Gans. School officials said he told them the felon had been heard to say he would not be taken alive. 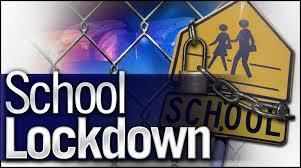 Consequently the school initiated the lockdown drill until the undersheriff reported the man was in custody. “He came by just before noon and said everything was good,” school officials said. They added that school continued normally. The Sallisaw Chamber of Commerce released its holiday calendar Wednesday, and both children and adults should prepare for the busy holiday season before Santa arrives. -Nov. 12 is the annual Merchant’s Open House which features businesses throughout the community opening doors for holiday sales, with new items on display. Shoppers will have the opportunity to win a $100 Chamber Check by registering at the chamber office. For every $10 spent, customers may enter one time. 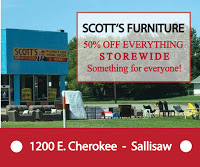 -Nov. 15 is when the Shop Sallisaw campaign begins. Shoppers may win cash prizes ranging from $100 to $1,000 by shopping at participating chamber member locations and receiving a ticket for purchases. Keep those tickets! They must be presented at the drawing on Dec. 9. -Nov. 16 is the annual Christmas lighting ceremony at 6 p.m. on the lawn at Stanley Tubbs Memorial Library in downtown Sallisaw. Hot chocolate and cookies will be served and the Sallisaw Middle School Choir will sing. Santa will arrive and give each child a goody bag in the gazebo. -Nov. 18 is Evviva! 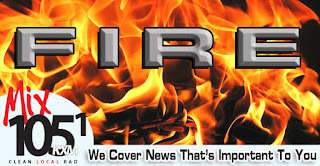 which will be held from 7 to 9 p.m. at the Cherokee Casino in Roland. This fundraiser for the chamber includes fun, food, fellowship and an auction. -Nov. 20 get ready for the Christmas parade by contacting the chamber office at 918-775-2558 to sign up. The 2017 theme is A Storybook Christmas. Storefront decorating forms will also be ready. Trophies will be given to three businesses in three districts in Sallisaw. -Nov. 23 is Thanksgiving Day! -Dec. 6 is when those Christmas Parade entry forms are due, at 5 p.m. Every entry must submit an entry form. 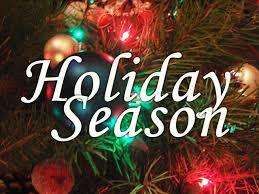 -Dec. 8 is when the Storefront Decorating Contest entries are due at the chamber office. Judging will be on Dec. 11. 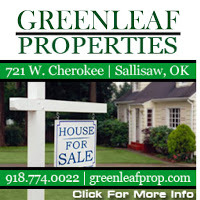 -Dec. 9 is the Shop Sallisaw Giveaway at noon on the library lawn. Participants must be present to win and have their tickets in hand. -Dec. 9 is the annual Christmas parade, with the theme A Storybook Christmas. Lineup is at 5:30 p.m. on Choctaw Street and the parade begins at 6 p.m. Prize money will be awarded to the top three in each category. First National Bank of Sallisaw was the Sallisaw Chamber Member of the Month and was awarded a plaque at the chamber’s October Member Luncheon on Wednesday. Jeff Mayo, incoming chamber president on the left, presented the plaque. 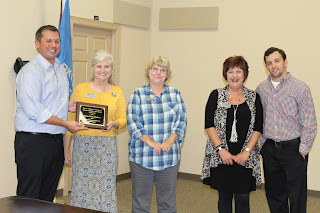 Accepting are, from his left, bank officers Susan Chandler, Debbie Fleetwood, Glenda Callahan and Ryan Roth. Matt Caldwell, bank president, was unable to attend. Brooke Lattimore of the Health and Wellness Centers was the guest speaker at the meeting and described how the centers operate. She said the Federal-qualified Health and Wellness Centers are located in seven eastern Oklahoma towns – Sallisaw, Checotah, Eufaula, Poteau, Warner, Stigler and Wilburton. The centers offer quality health care to the underserved, she said, and those without insurance are charged on a sliding scale. The Health and Wellness Centers have 150 employees and had over 24,000 patients encounters last year. The Sallisaw center is also undergoing an expansion that will double space and offer Behavioral Health. However, although the center has federal funding, recent cutbacks in state funding may impact the center’s Behavioral Health plans. Federal health funding is also up in the air. “We will just have to wait and see what happens,” Lattimore said. The center offers basic primary and preventive care, pediatrics, pharmacy services, and pre-natal care in some clinics. Future plans include the Behavioral Health, substance abuse treatment, and a drive-through pharmacy. Several more professional positions will also be filled when the expansion is complete in late December or January, Lattimore said. -Evivva from 7 to 9 p.m. Nov. 18 at the Cherokee Casino in Roland. The chamber’s Christmas events also begin in November.